I was having 'a day'... you know the type; people being idiots and your 'get up and go' having already departed. 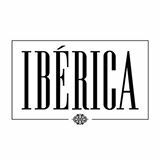 Then a lovely little email from Iberica arrived asking if I wanted to come and check out the new seasonal menu. Yes, yes please. 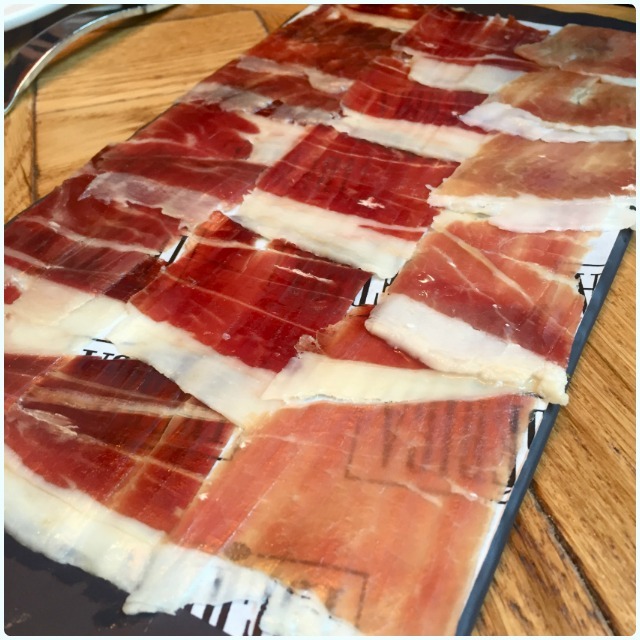 Iberica is one of our happy places. We first went to the Marylebone one before Manchester opened, and were then quick to suss out our new neighbour. After declaring it wonderful, we've been regular patrons ever since. 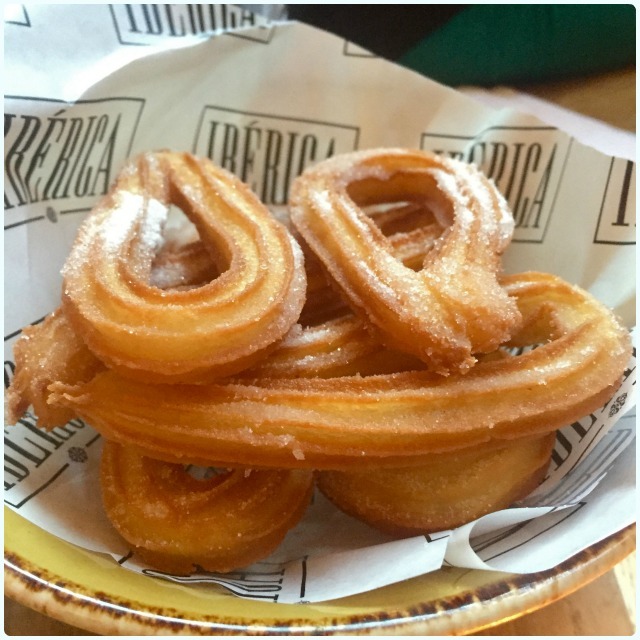 My tapas partner in crime Lee accompanied me, and loved it so much, that she was rather keen to do the review. So here's what she thought. 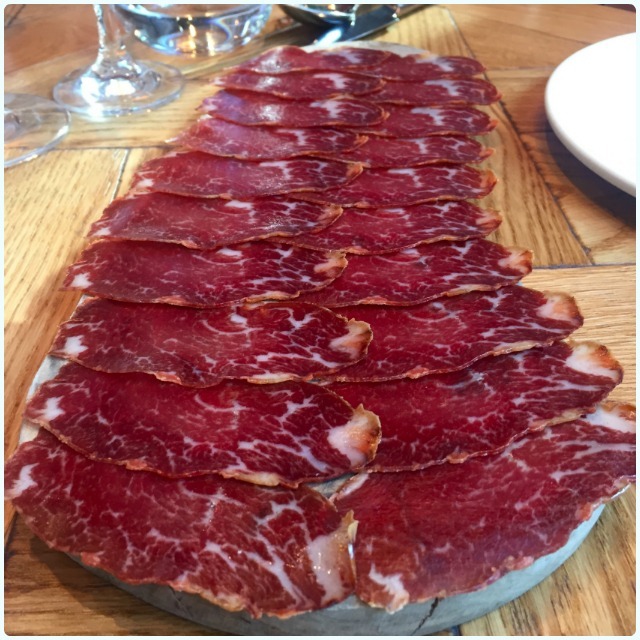 I really don't have the words to describe how much I love going to Iberica, from my first visit in London to my excitement when the Manchester site was announced, I have been obsessed with this fantastic place! 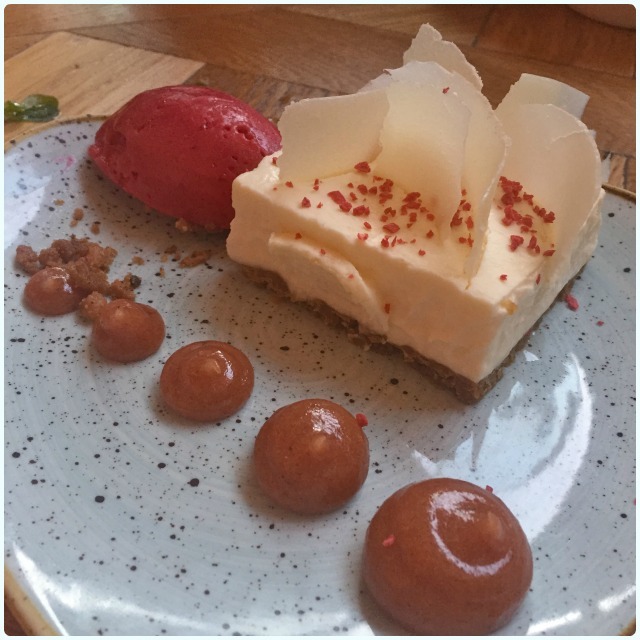 So needless to say when Rach asked if I fancied accompanying her to try the Spring menu, I nearly bit her lovely little hand off. 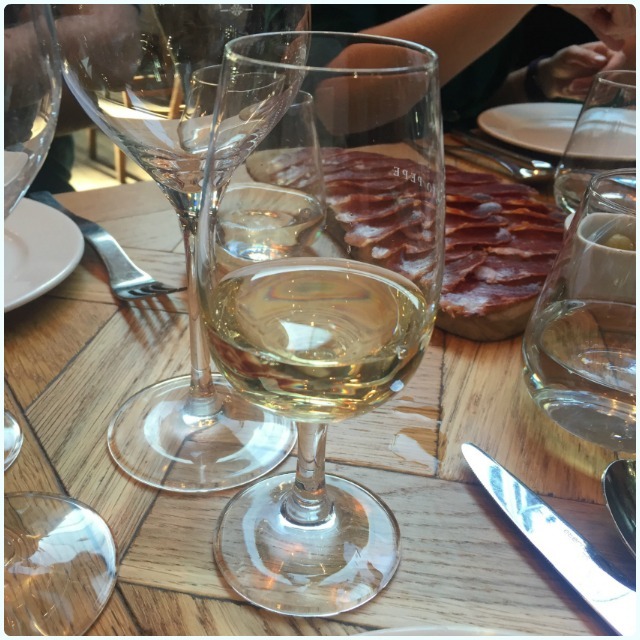 After a long day at a conference in Harrogate, and a slightly fraught journey back, I felt myself relax straight away when I arrived and was handed a glass of cava. We were seated in the beautiful bar area and served a warming sherry as the food started to arrive. First up was a trio of hams, varying in region of origin each of these hams had a very distinctive taste, and each was delicious. 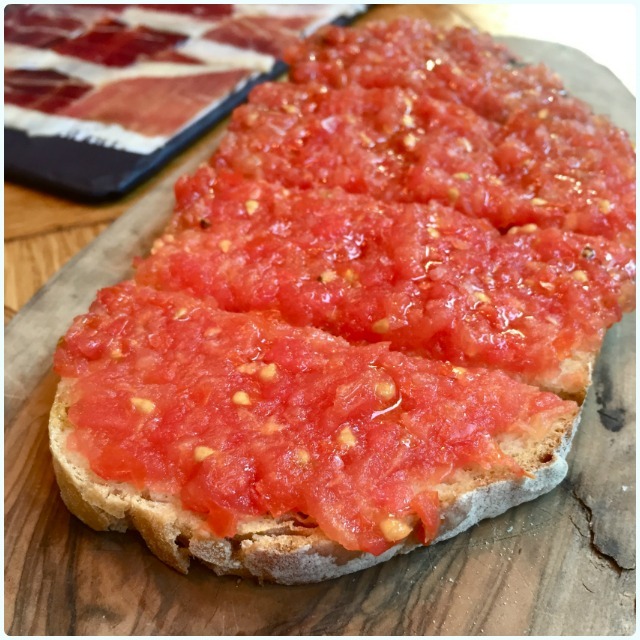 We also tried beautifully rich Presa, alongside roasted tomato bread which added a tasty burst of freshness. After aggressively front loading on ham I soon realised I needed to pace myself in order to manage a try of each of the mains....this turned out to be easier said than done! 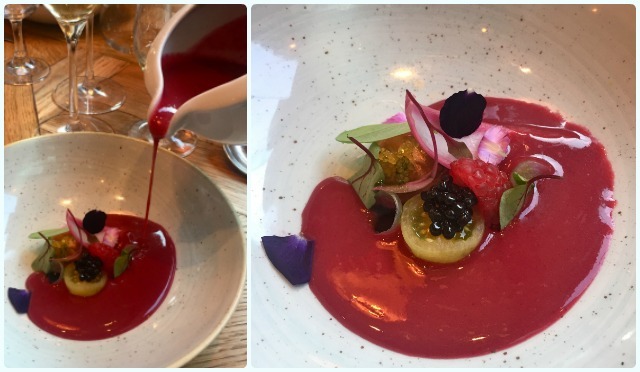 We started the mains with a red berry and beetroot gazpacho, the flavours within this were unbelievable, sharp and fresh, even Rachel (genuine hater of beetroot) was sold on this. 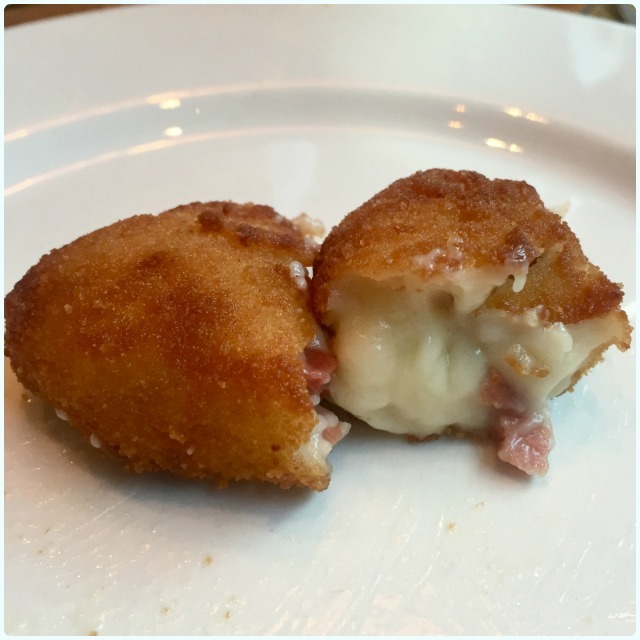 This was followed by my three favourite tapas dishes of the night, asparagus toast with manchego and truffle oil, cauliflower tempura and serrano ham croquettes. 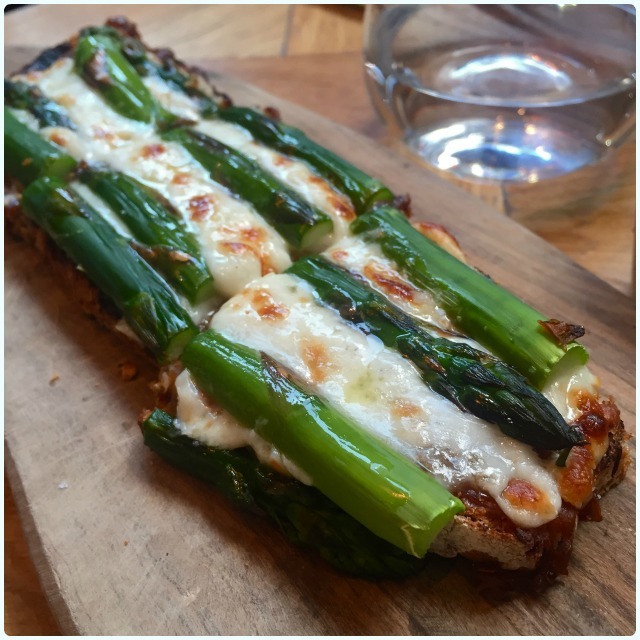 The asparagus toast and croquettes are already firm favourites of mine, in fact I may have had dreams about the croquettes! The cauliflower was incredibly tasty with a zingy pickled cauliflower slice on top. Next was time for fish, we tried hake with hollandaise and lettuce water, fideua with garlic and prawns, octopus gallega, and sea trout with almond purée. Each of these dishes were delicious and perfectly cooked, and despite being a little afraid of octopus I am told this is one of the best. 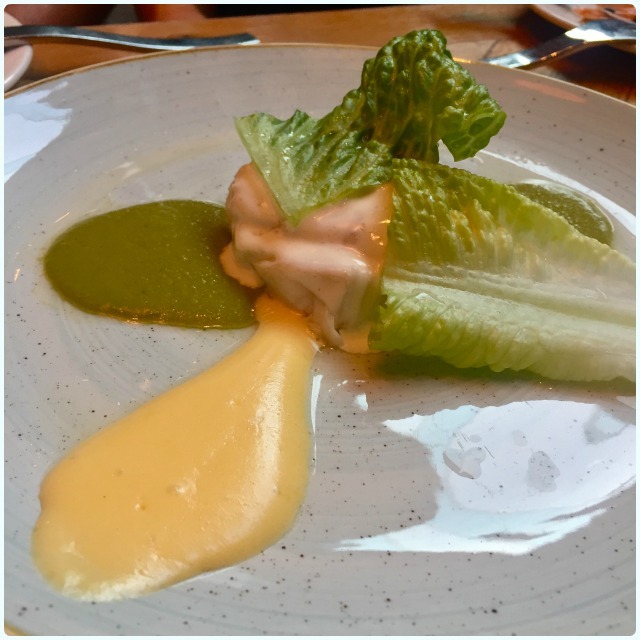 Special mention must be made of the lettuce water served with the hake; Cesar advised that this is basically salad blended into a sauce. I could go for a mug of this! 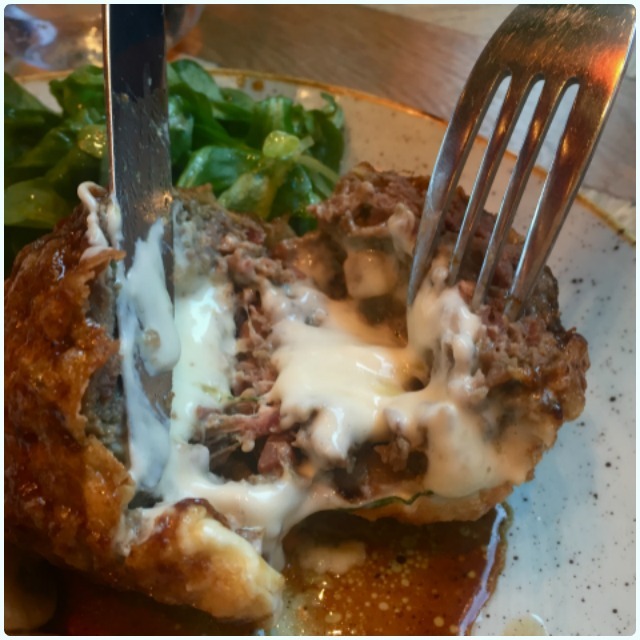 Just when I thought I may pop we were presented with the finale, Gloria Cachopo, a tender fried beef and pork patty filled with cheese. I am a firm believer that all food can be improved by putting cheese in or on it, this dish confirmed it. For dessert we tried the rice pudding, Gloria cheesecake and churros. 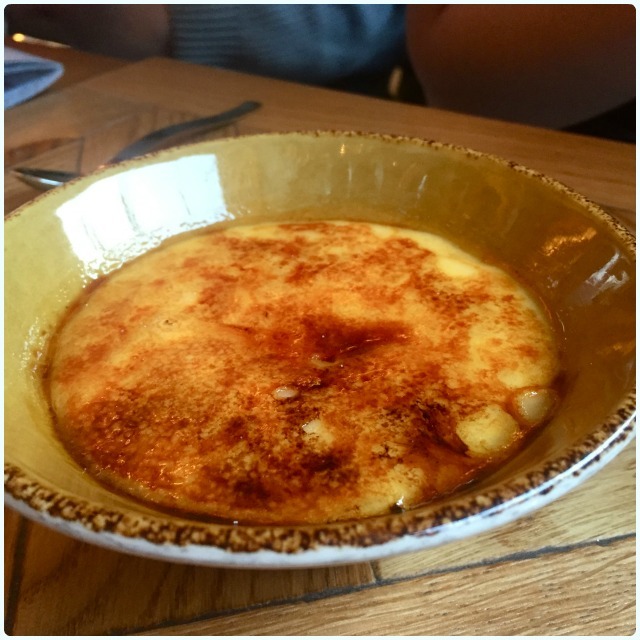 My favourite here was the rice pudding, rich and creamy with a crispy caramelised top, I was in heaven. The evening was a huge success; delicious food and wine, excellent service and lots of laughs with new friends, who I hope to see again soon. 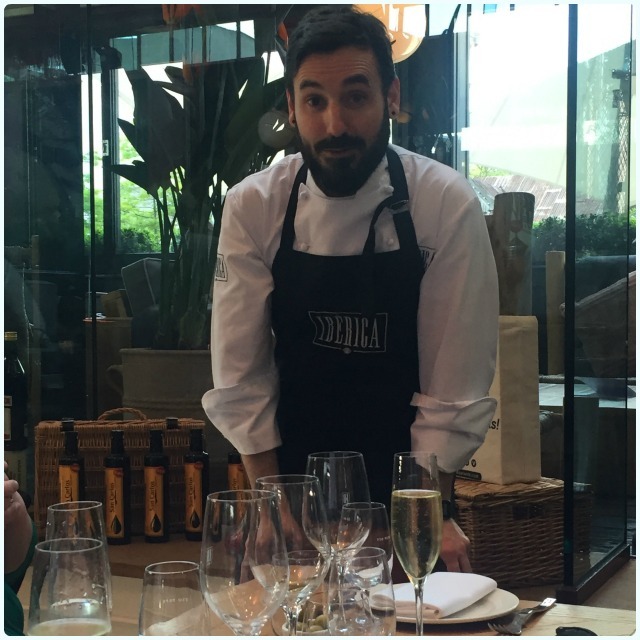 Thank you Cesar, yet again you have blown us away with your talent (and you still look like a young Spanish Jeremy Piven). 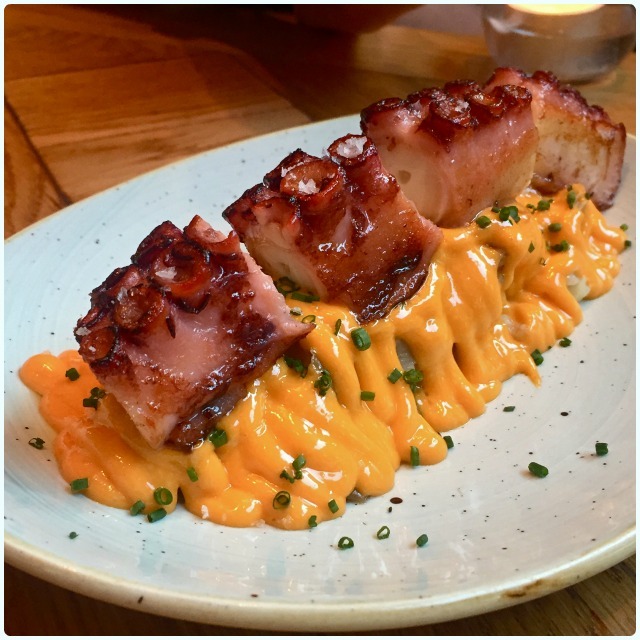 Give their blogs a visit and follow them on Instagram for more food fuelled adventures. 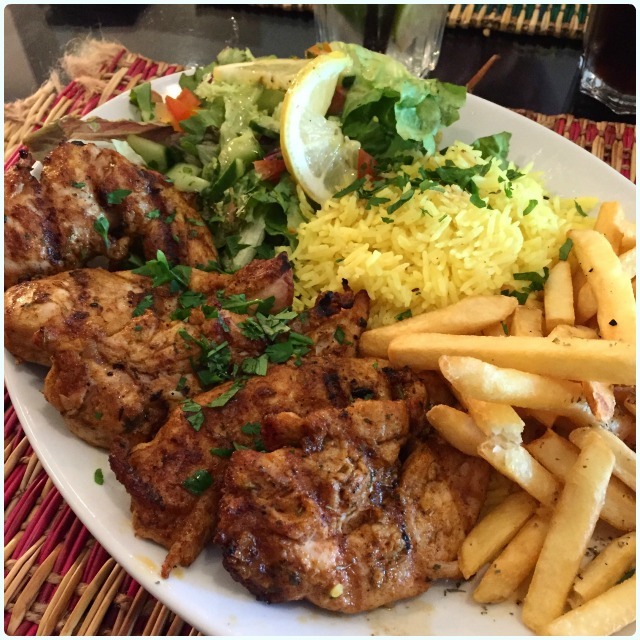 Kasbah is another one of those places that's been on 'the list' for some time. I was particularly looking forward to sampling lots of little bits, some wonderfully spiced meat, and tea being poured from a great height. 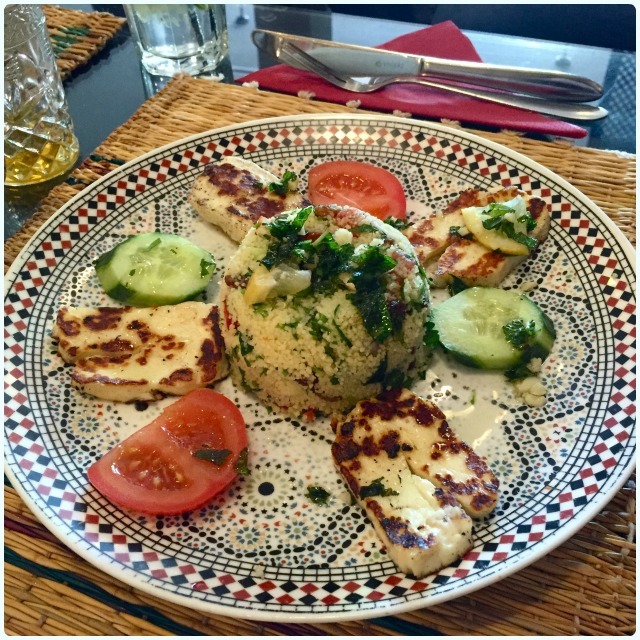 The sun was shining, and some wonderful Moroccan cuisine was shouting our names. I knew it was going to be a good day! I feel like I've been to Liverpool more than Manchester recently, which tells me that I'm likely to spend even more time there in the near future. 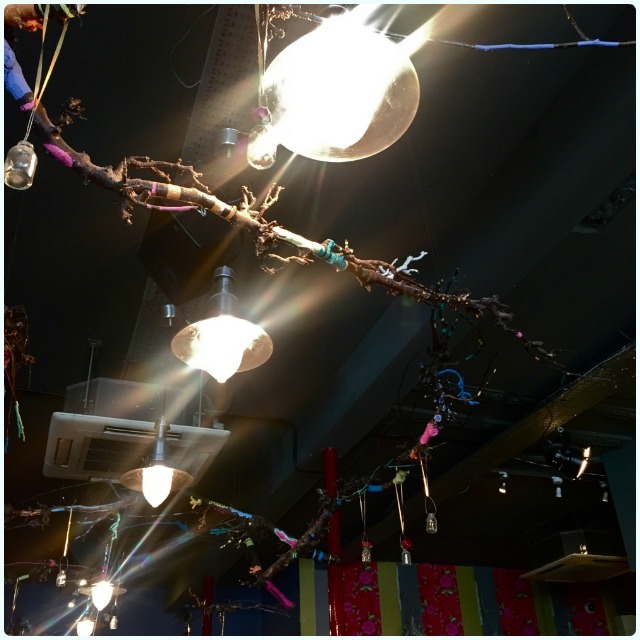 Kasbah is another beautiful independent on my favourite little street, Bold Street. Inside is a homage to Morocco, with colourful lanterns, a very ornate wooden door, staff dressed in traditional clothing, and strangely, a picture of Paul McCartney in a fez. In the spirit of trying new things, we went for tapas to start, then hit the salads and grills for mains. Kasbah don't serve alcohol, but that was absolutely fine, as it meant we got to try things we might not have otherwise. 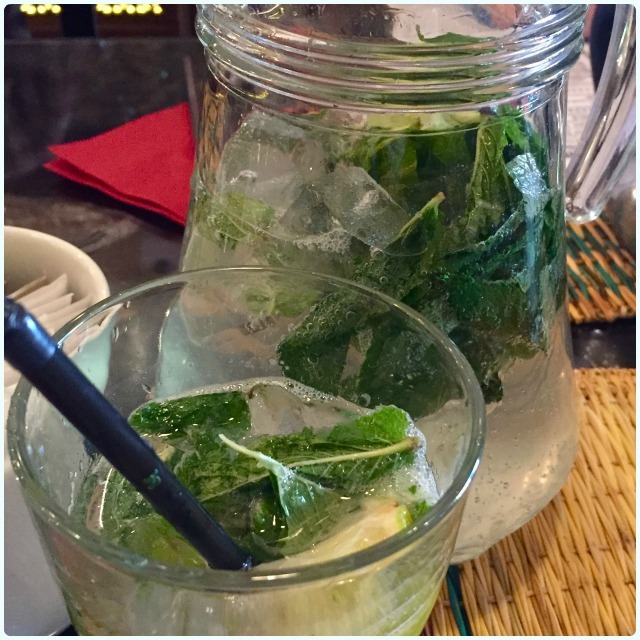 Moroccan lemonade - lemonade, fresh mint and lime: It's just standard lemonade, but the added mint and lime really wake you up. 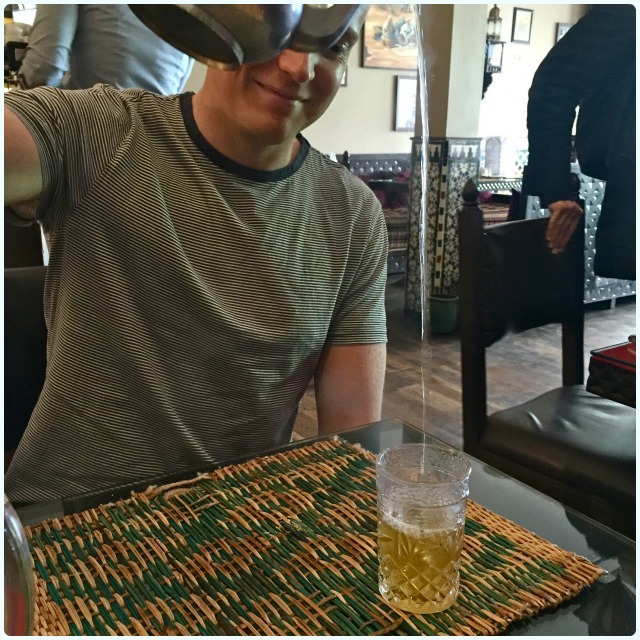 Moroccan mint tea (modelled by Kev): Ah yes, tea from a height served in cut glass tumblers. I hate mint tea, as it reminds me of the Body Shop's Peppermint Foot Cream; I just can't get past it. 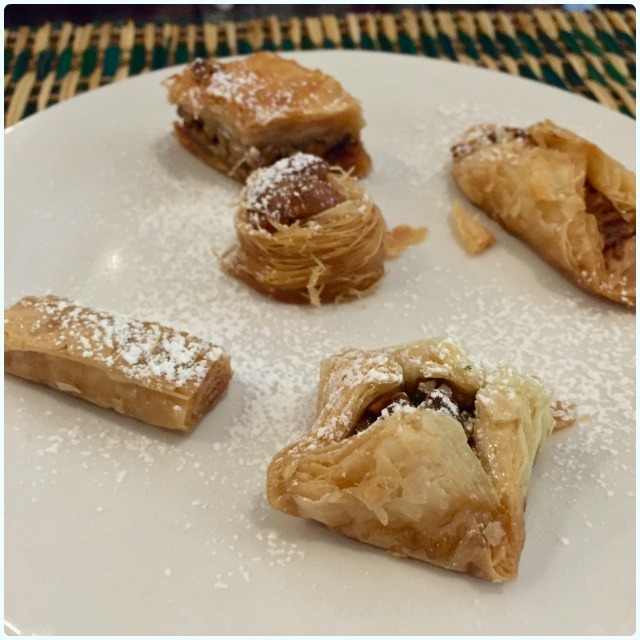 However, the Moroccan version is beautifully perfumed and slightly sweetened. It was just delightful. 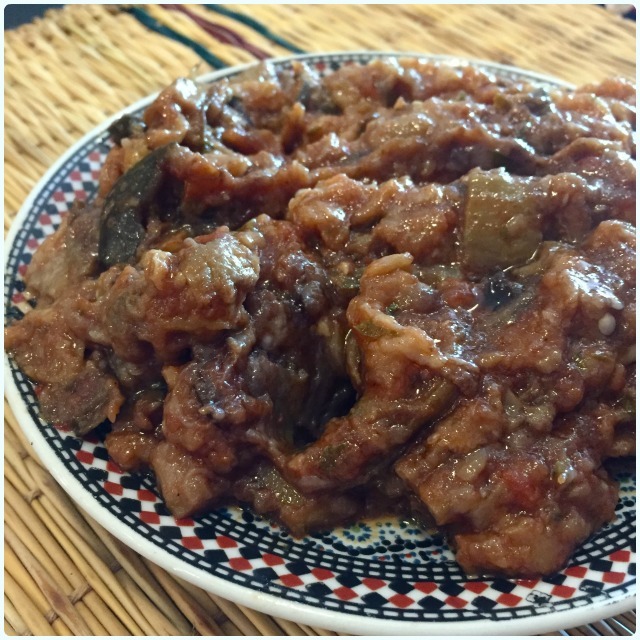 Zaalouk - aubergine puree, tomatoes and garlic: It's not much to look at, but gee whizz, I could dip Moroccan bread into this, and stuff my face every day of the week. 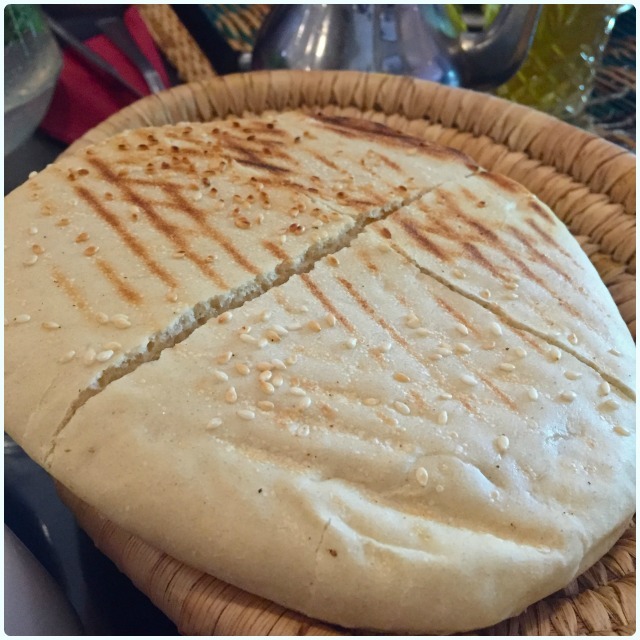 Moroccan bread: Oh this lovely, soft, pillowy bread. Served warm, it's as light as a feather and gently flavoured with sesame seeds. 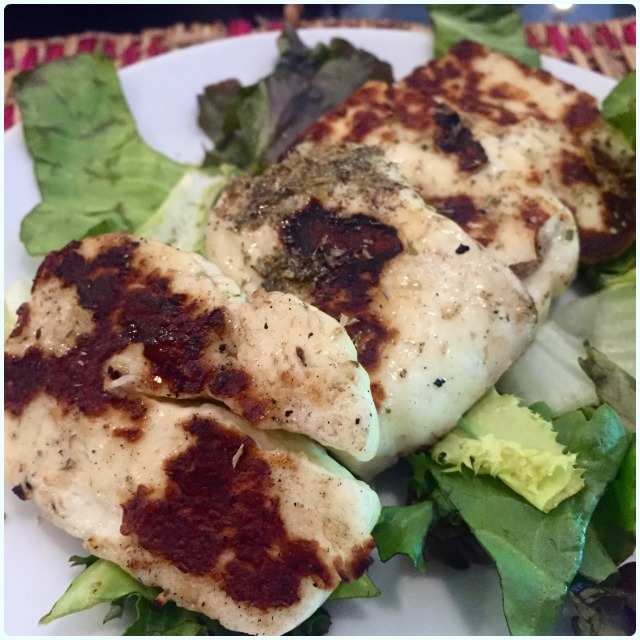 Grilled Haloumi - served on a bed of salad: If halloumi is on the menu, I'm there. 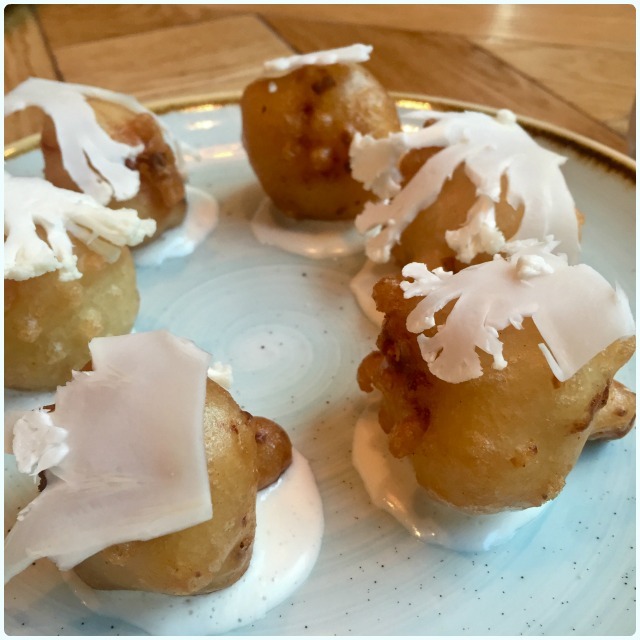 It's salty and squeeky and amazingly tasty! Scattered with dried herbs with lovely little crusty bits. Yes. 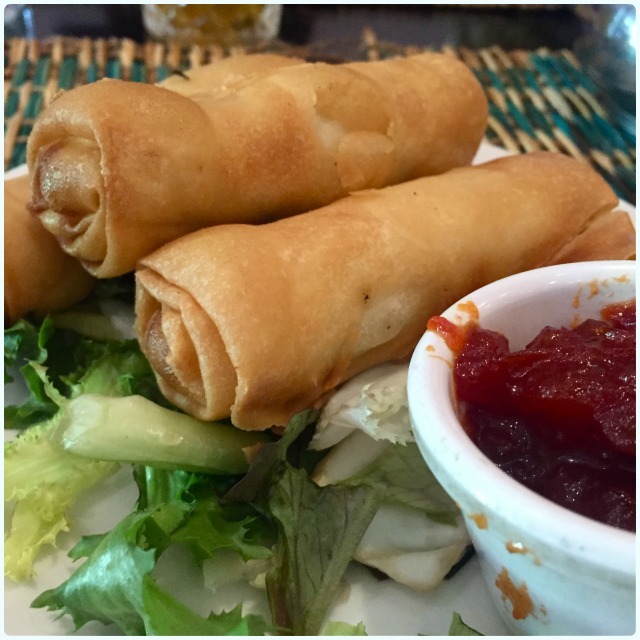 Briouats Dada - filo pastry filled with marinated chicken, served with sweet tomato and chilli chutney: A bit like Moroccan spring rolls, these are packed with shredded chicken, and go perfectly with that sticky relish. 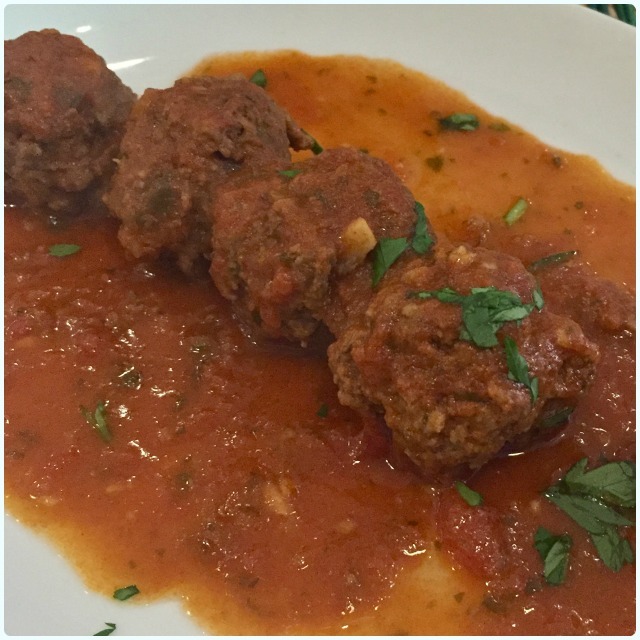 Moroccan Meatballs - homemade minced meatballs cooked in tomato sauce with fresh herbs, served with Moroccan bread: Dense meatballs in a simple, yet very effective tomato sauce. This has to be mopped up with more of that gorgeous bread. 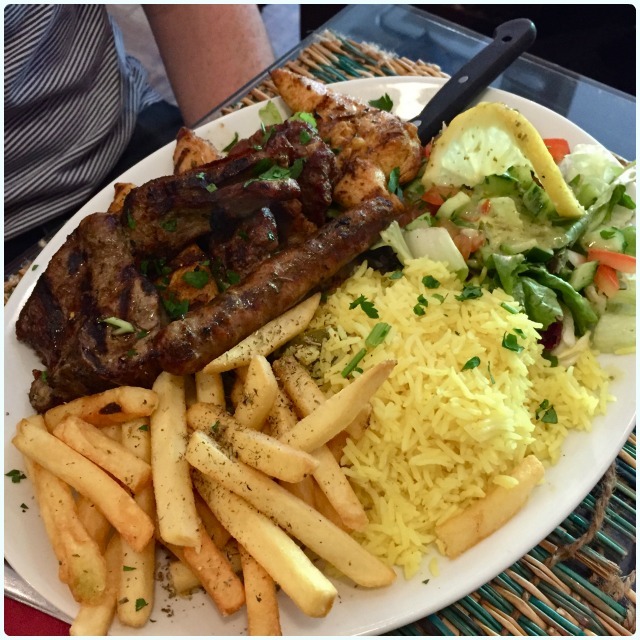 Kasbah Mix Grill - Kssbah burger, chicken brochettes, Lamb chops, kofta brochettes and merguez (spicy sausage), served with saffron rice, salad and chips: Look how much food is on this plate! Literally one of every type of grill, plus a whole pile of carbs. The boys polished these, albeit with some difficulty. I'm confident it would have killed me dead. Moroccan Couscous Salad - couscous, grilled halloumi, almonds, sultanas, garlic and mint dressing: Looks pretty light hey? Granted it's light-er, but was still a beast of a main. More halloumi served with spiced cous cous. A nice veggie alternative too. 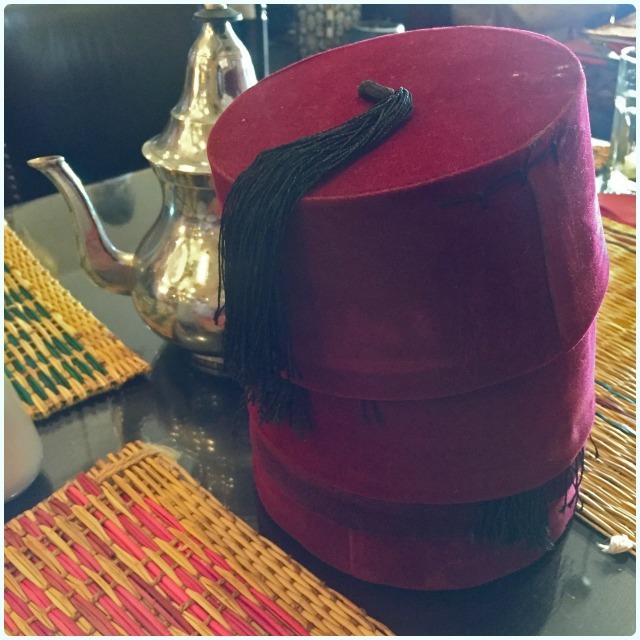 Moroccan Sahara Tea - a blend of Moroccan spices: Yes, more tea from a height, made even better when served by a lovely waitress (no offence Kev), who's wearing a fez. I'll let you into a little secret, we were all wearing one, yet we didn't manage a decent picture between us. This tea is very different to the mint one. It smells like black pepper, but tastes quite floral. Lovely. Baklawa - rich, sweet pastry made of layers of filo pastry filled with chopped nuts and sweetened with honey: Kev was very excited about this, and Paddy only ordered it on the promise Kev would eat whatever he couldn't. Hard lines Kev, Paddy scoffed the lot! It was too good it seems. 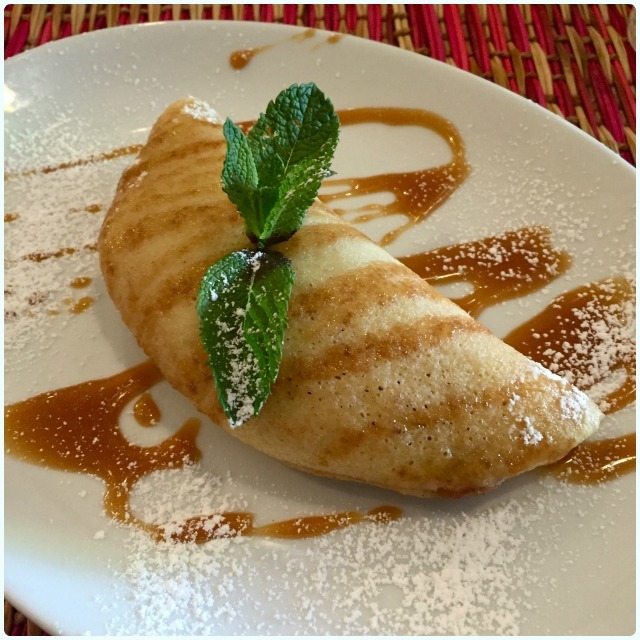 Kasbah Pancake - Moroccan pancakes filled with apple cinnamon, topped with toffee sauce: Lucie and I both had this. Stewed apples with cinnamon and toffee, wrapped in a fluffy pancake? Pour some sugar on me and feed this to my face! One of the best desserts I've had in a while. 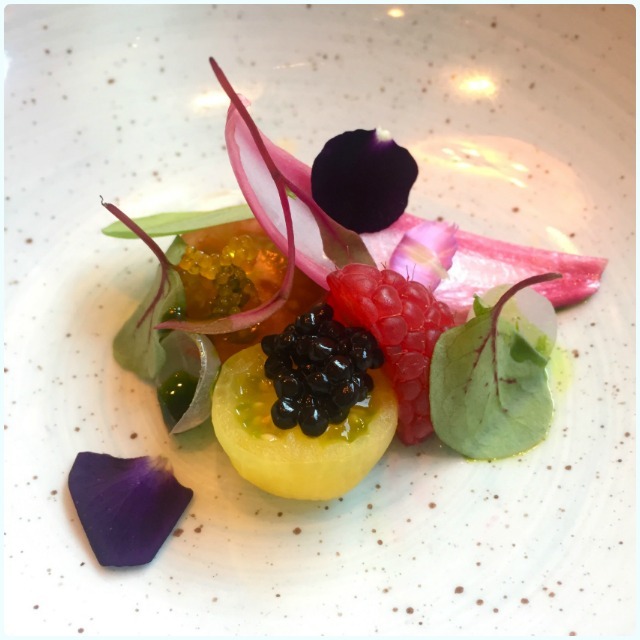 The service was impeccable, the food utterly delicious, and the place was buzzing from the second we walked through the door. There's little wonder Kasbah appears to have a loyal following. I have friends who haven't been in a couple of years, but rave about it like it was yesterday, and are now plotting a return visit. 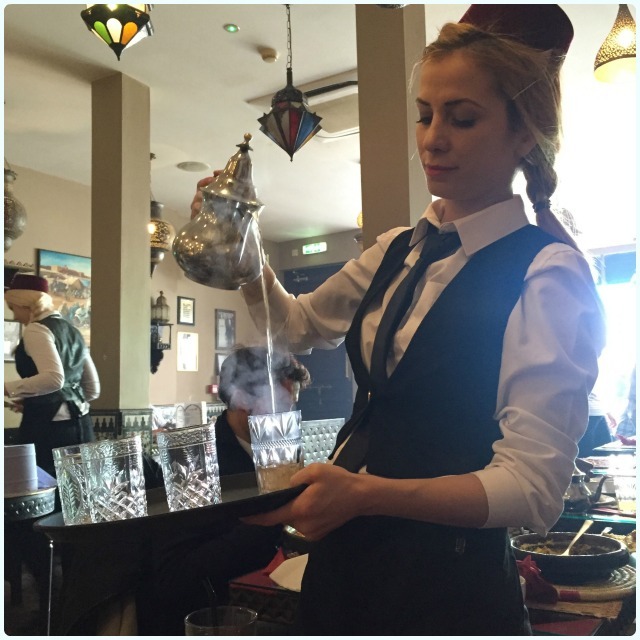 Go to Kasbah as a group and enjoy entertaining service and some delicious food, which is ideal for sharing. It's also worth mentioning that there is a beautiful little world foods shop across the road called Matta's. We went here after our lunch, and bought enough tea to last about six months (or six weeks in my case). They have an impressive collection of international foods, including fruit and vegetables, sauces, grains, spices and oils. I just saw that you can buy online too - have a look! 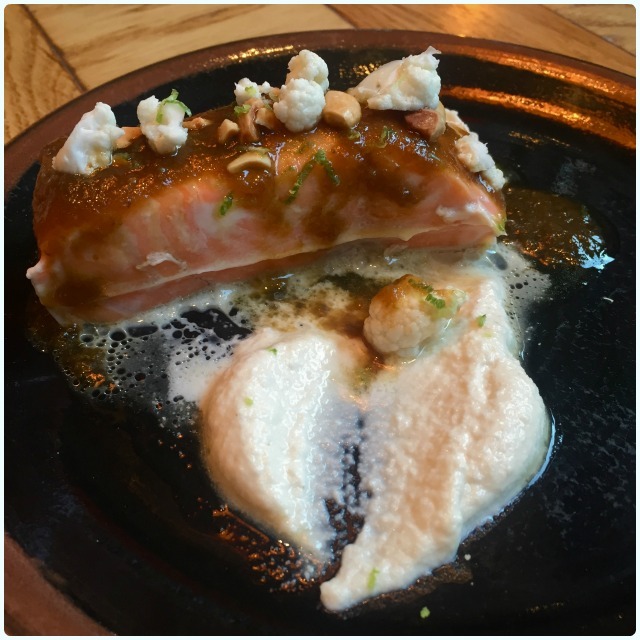 Disclaimer: I was invited to sample Kasbah's menu, and asked for my honest opinion. I think they knew they were never in danger... I think these photographs say it all really. I spied Leaf the day we went to Crust, and then unexpectedly I found myself back in the city the following Friday for a last minute visit to Liverpool Tattoo Convention. Since I was having my skin scraped with an inky needle for a few hours, I thought a hearty breakfast was probably a good idea. Blood sugar and all that. 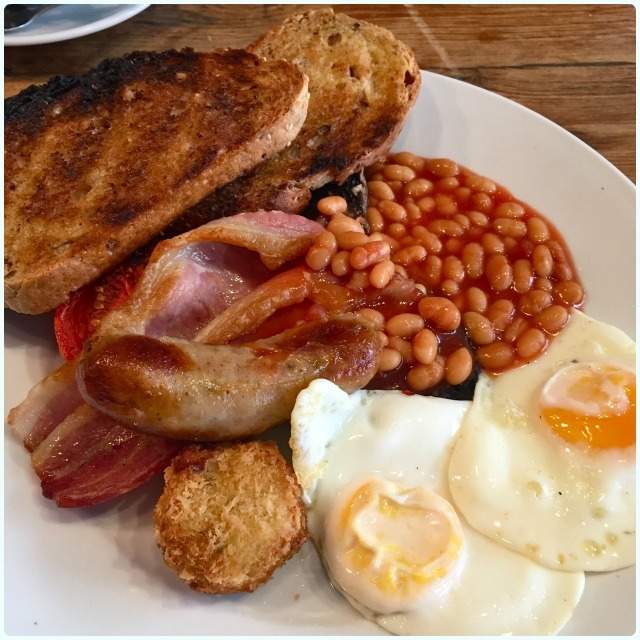 Leaf is a relaxed kind of place, where creatives with furrowed brows and laptops, sit side by side with folk like us, just wanting a cracking full English. The menu is pretty big, and there is a wide variety of breakfast items (they do food later in the day too), including some great healthy options, like chia seed porridge. We started with a nice cup of tea. I counted a whopping 55 varieties, but there may well be more! Whereas my parents were happy to stick with your standard brew, I asked for a recommendation, which came in the form of a beautifully fragrant cherry blossom green tea. A bit like a warm Bakewell tart. Even the teapots they come in were beautiful. Full English - smoked bacon, sausage, black pudding, fried eggs, potato croquette, field mushroom, roast vine tomatoes, baked beans and buttered granary toast: I can't say enough good things about this. Nothing too faffy, but good quality ingredients, and plenty of it! I loved the little touches like the choice of eggs and the home made potato croquettes. The sausages were beautifully spiced and the bacon had just the right amount of that smokey flavour. Even the mushroom was nice... True. 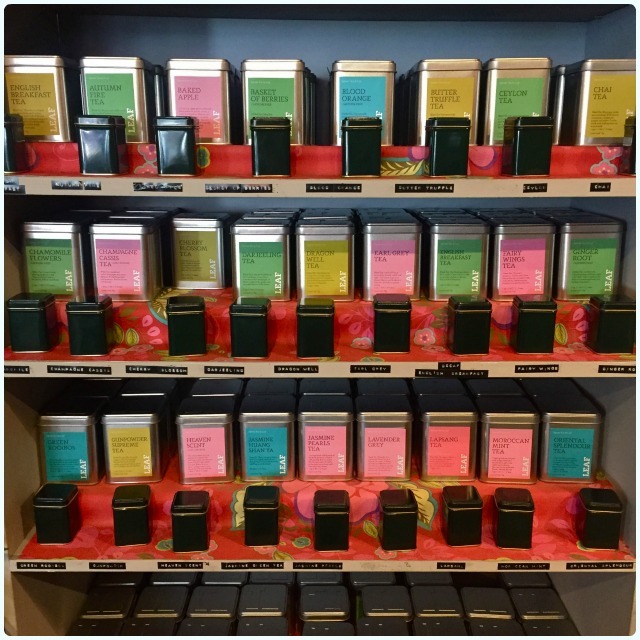 Look how pretty their tea collection is! I also bought some of their ginger root tea to take to my pal's house, which promises to revitalize if you're feeling a little deflated. 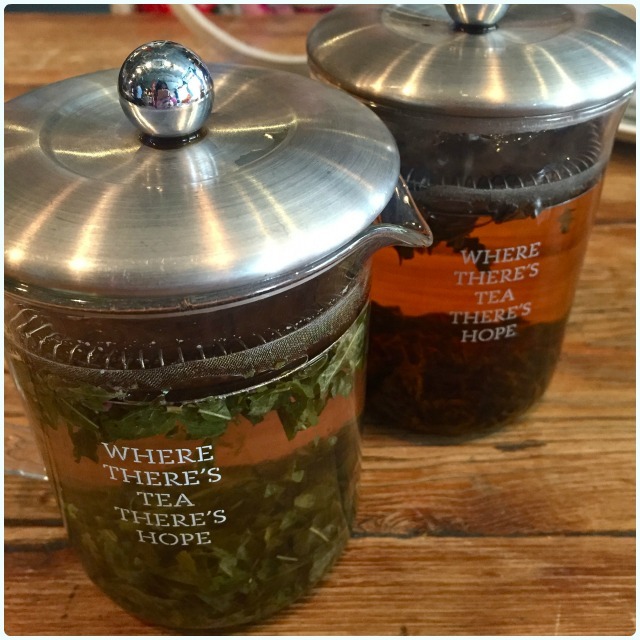 They even have little tins with tea samples in for you to sniff! I like sniffing tea. Weirdo. Go to Leaf for a lazy morning with a big breakfast and several cups of tea. 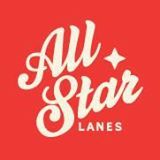 It's one of my favourite venues in Manchester; the hallowed All Star Lanes. I knew I already loved them when it was just a twinkle in Great Northern's eye, and they didn't disappoint me. Their 50s styling, friendly staff, American diner menu, constantly changing specials, and frankly outstanding cocktails really rock my socks. It's probably one of my most frequently visited venues for all the reasons listed above, but they are also bang on the money when it comes to throwing a party! 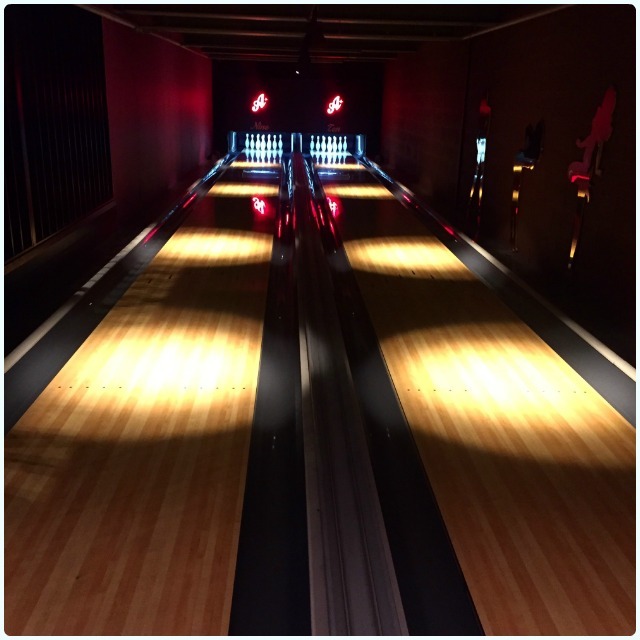 We booked the private lanes for my friend Lucie's 30th (have a nosy here), and went back over the Bank Holiday to sample the new Boozy Bowling. 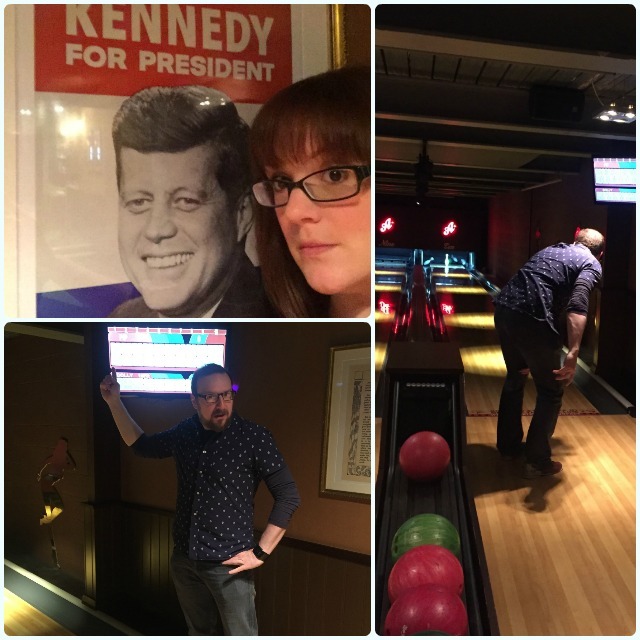 How do you like this; two hours of unlimited bowling, booze and American bites for £35? Yeah, we thought it sounded pretty darn good. So off we trot, ready to don some amazingly unflattering shoes. Your server will come over pretty sharpish, and explain that the booze is either unlimited Prosecco or bottles of Coors (we had a mix), and that food would be arriving around every twenty minutes. Great! 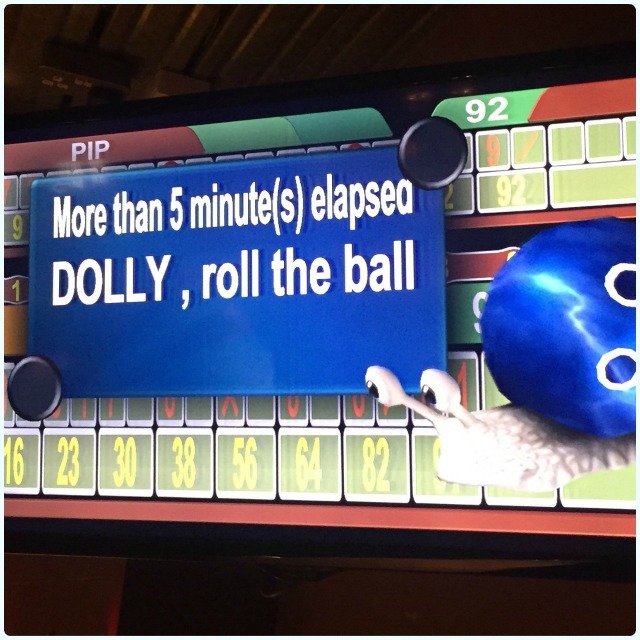 I am notoriously terrible at bowling, due to the fact I am lacking in any sort of technique, and generally break my nails within five minutes of getting there. However, it's too much fun for me to care much. The food is more my area of expertise! Pretzel bread with smokey cheese sauce and fries: That cheese sauce is like crack. I'm pretty peckish as I'm writing this, so this picture is utter torture. Probably bad timing. This bread is really soft but has that distinctive pretzel taste, and goes perfectly with the cheese. 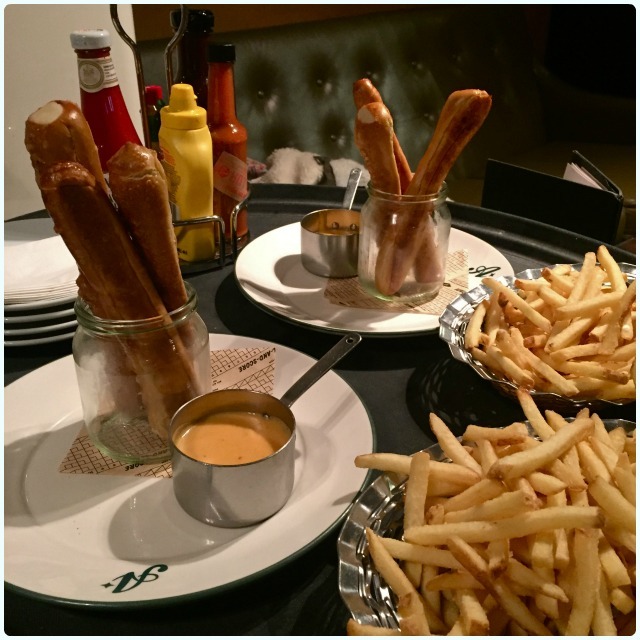 We thought that this looked like a lot of chips, which is funny, because we managed to snaffle the lot! 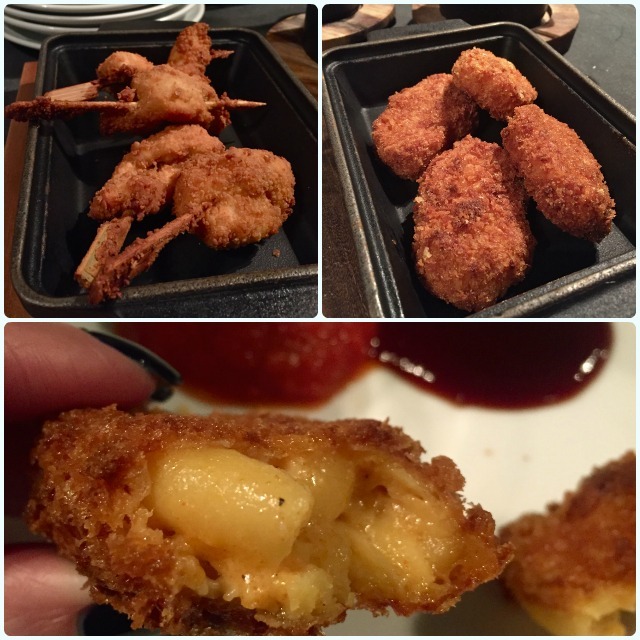 Southern fried chicken skewers with barbecue sauce and mac 'n' smoked cheese croquettes: Those beautiful words... 'Southern fried'. These dipped in barbecue sauce were just heavenly, and the probable cause of the snail who equally sauced me! 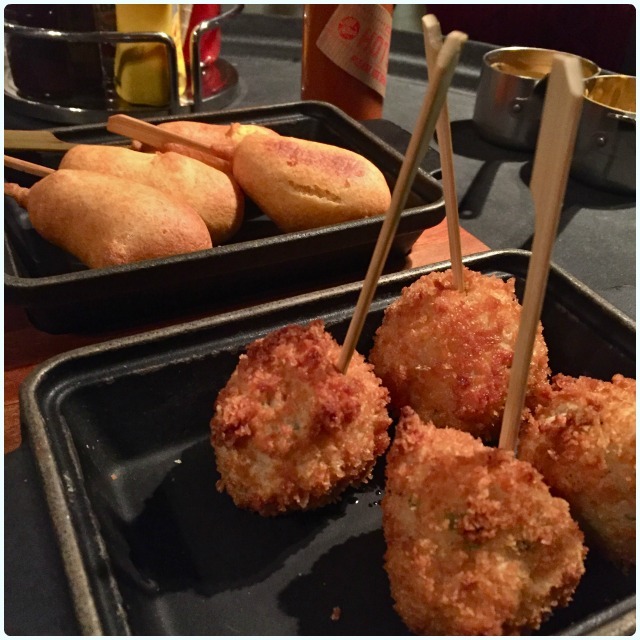 Mini corn dogs and deep fried rice balls: So much golden food... The thing is though, you're bowling hell for leather, so surely you are still in a calorie deficit at this stage! I lapped up those sticky rice balls dipped in the cheese from earlier. 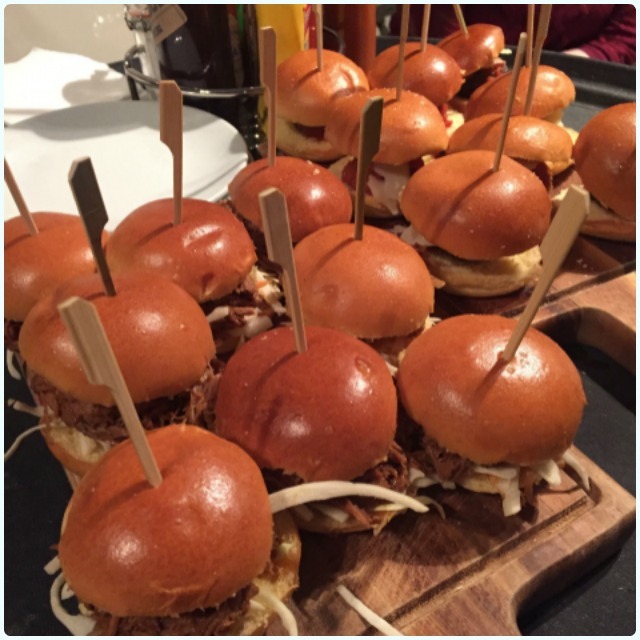 Sliders - marinara meatballs with tomato sauce and pulled pork and 'slaw: We were getting really full by this stage. Just before these arrived, we had just had another round of pretzel bread, so our carb reserves we pretty well stocked. If these had come a little earlier, we would have been a little more successful at polishing the lot. Fret not though, for they were promptly boxed upon our server seeing how disappointed we were in ourselves. We wanted for nothing. I have no idea how much Prosecco we drank, because our glasses were constantly being topped up. 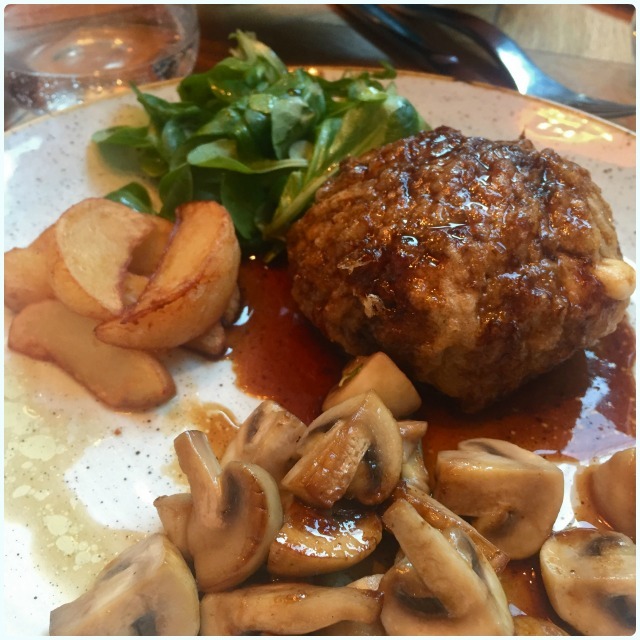 The staff were fantastic, and the food was to the usual brilliant standard. The only thing we would have changed was maybe getting the sliders earlier, and perhaps end with something sweet to perk us back up. 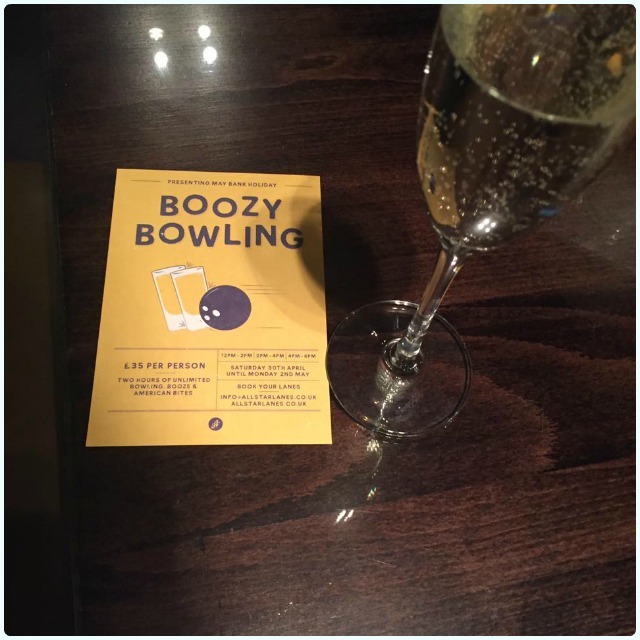 Having been some of the first to try Boozy Bowling, the venue were also really keen to get our feedback on how this could be improved in the future, which I really liked. We had the best time! The private lanes really add to the group activity, and meant that we weren't fighting to be heard over other people. Wasn't sure what to expect but very pleasantly surprised! We didn't expect the private lanes, and were absolutely thrilled when we arrived. Such a great idea. It was amazing! Loved the private alley, felt very indulgent. 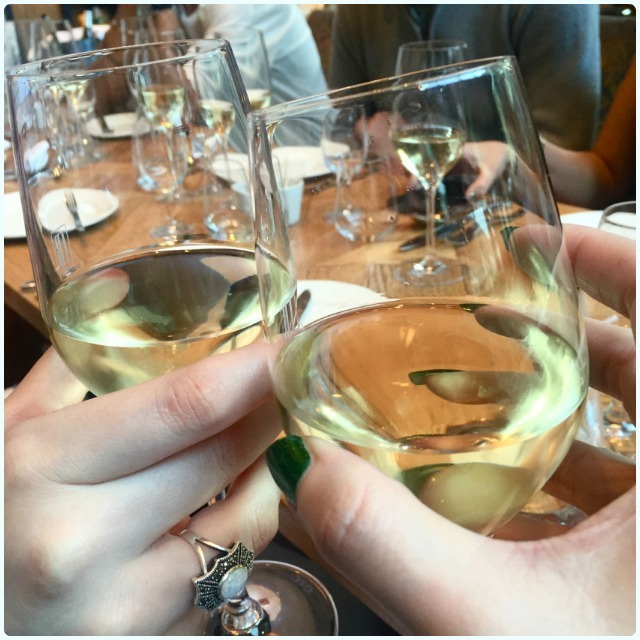 Our glasses were never less than half full, the staff were attentive without being overpowering, and the food came just at the right intervals. I urge you to try this deal the next time it's on. 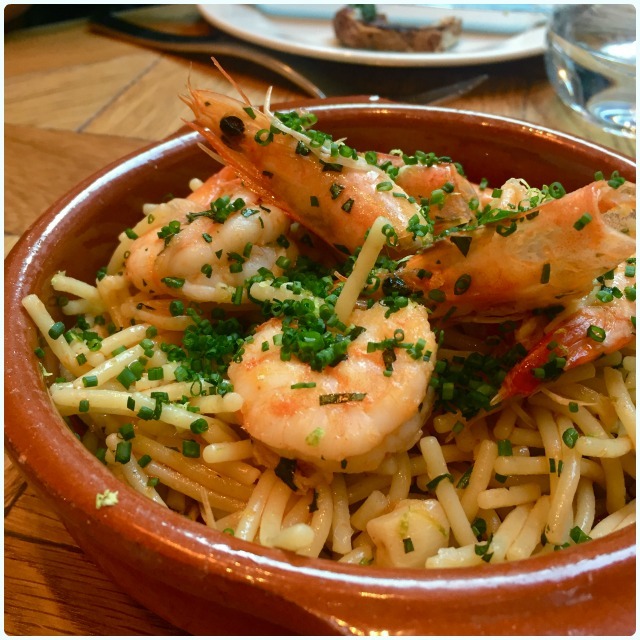 It's amazing value at £35 per person, and looks like it'll only get better next time round.